With their unique airbags for urban cyclists, the Swedish company Hövding has revolutionised the world of cycling. Now, the company wants to help turn London into a cycle-friendly city. By using a digital button, cyclists will be "giving a beep" to show the Mayor of London that the city’s dangerous streets are in need of improvement. London is a great city. It’s also one of the world’s busiest cities, but a lack of high quality cycle lanes and dangerous road layouts and junctions can make London feel like a very unsafe place to travel around by bike. Surveys have shown that hundreds of thousands of people want to cycle, but are too scared. This is something that Hövding, with the support of Mynewsdesk, wants to change with their initiative ‘Give a Beep’. 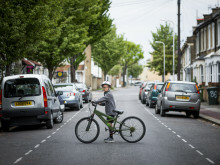 The initiative will collect data about hazardous streets and junctions for cycling in London, by providing cyclists with a digital button to put on their handlebars or directly on their clothes. 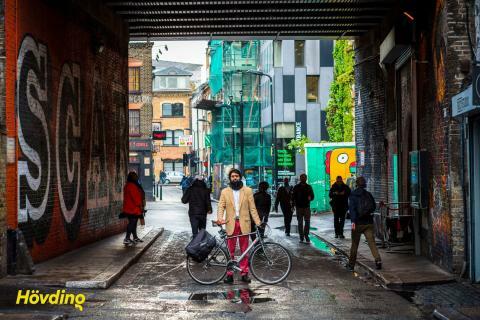 “As a world metropolis, London should be a safe city to cycle in. More people should be able to cycle and feel safe while doing so, but today’s infrastructure doesn’t allow it. Therefore, we’d like to highlight the issue and push the campaign for safer cycling, letting cyclists themselves to report the places that need improving. 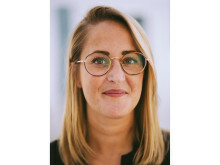 It’s important for us to contribute to a safe cycle-environment – with the perspective of the cyclists as a focus”, says Anna Katarina Skogh, Marketing Director at Hövding. The button is connected via Bluetooth to the cyclist’s phone through the app, ‘Flic’. When the cyclist presses the button, their location is instantly pinpointed on the campaign site. The purpose is to highlight all of the unsafe streets and junctions in London. Every time they press the button an email is sent to the Mayor to make him aware and encourage him to keep his promise to ‘make London a byword for cycling’ by making it safe and enjoyable for everyone to cycle. As a first step, 500 digital buttons will be distributed to members and supporters of the London Cycling Campaign, the world’s largest urban cycling campaign, who, with 12,000 members, and 30,000 supporters, lobby for better conditions for cycling in the capital. By committing to the London Cycling Campaign’s Sign for Cycling pledges, the new Mayor, Sadiq Khan, has promised to make cycling in London safe and enjoyable for everyone. 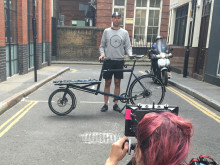 “The 500 Londoners giving him a beep will hopefully remind him to get on with fulfilling those pledges, as a matter of urgency”, says Amy Summers, Campaign Coordinator, London Cycling Campaign. During the last three years, Hövding’s airbag helmet for cyclists has been launched internationally and is now on 15 markets in Europe and Japan. Hövding is sold in över 600 stores and on hovding.com. Just in Sweden, Hövding is available in more than 100 stores. The company has 22 employees in Malmö, Sweden. Hövding was noted on Nasdaq First North on June 16th 2015. 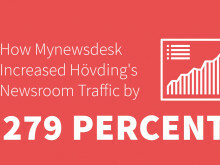 A well-developed editorial calendar, purpose over profit approach and an optimised newsroom - the key ingredients to Hövding’s campaign success.